Philbrook hand built steel frame into the Search box. A recent comment on my Bill Philbrook page refers to Bill’s link to Youngs, Grandini and Meridian. 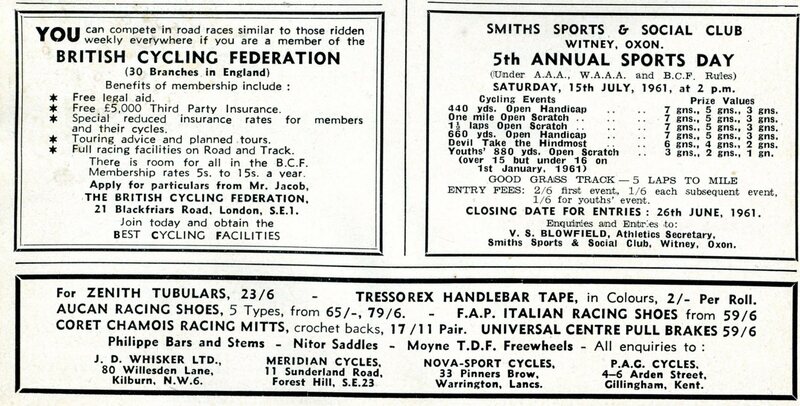 I cannot help Simon Murray with his enquiry about Meridian transfers etc but I did find the advert below in the July 1961 issue of Sporting Cyclist. I have never before seen an advertisment mentioning Philbrook and it is surely no coincidence that Meridian Cycles are also featured. 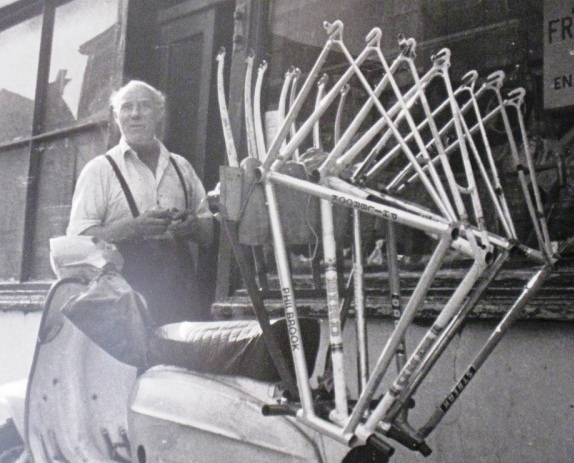 It is my intention to write a tribute to Bill Philbrook who was, in my opinion, a frame builder of unmatched ability. Perhaps more importantly he was a really interesting and nice man. Unfortunately I am struggling to obtain hard facts about his ca reer. I know he worked for Claud Butler and Gillotts and when I first met him in 1978 he had a business in Arden Street, Gillingham, Kent. He was a club cyclist and I believe he had raced in his youth. 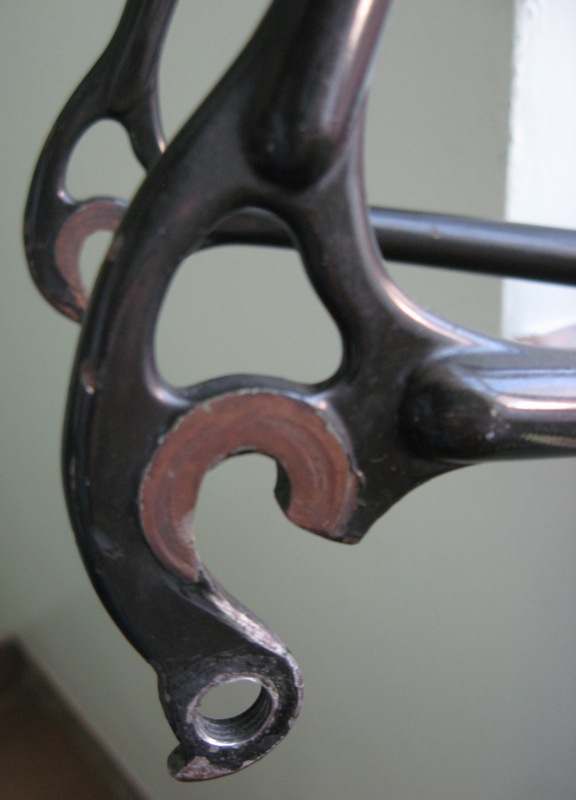 I have three of Bill’s frames and the photos of the seat lug are from a 1978 road frame. The lug started as a Prugnat long point before Bill reduced it to next to nothing. I don’t expect that the lug adds anything to the structural integrity of the frame, that came from the perfect mitreing and brazing. 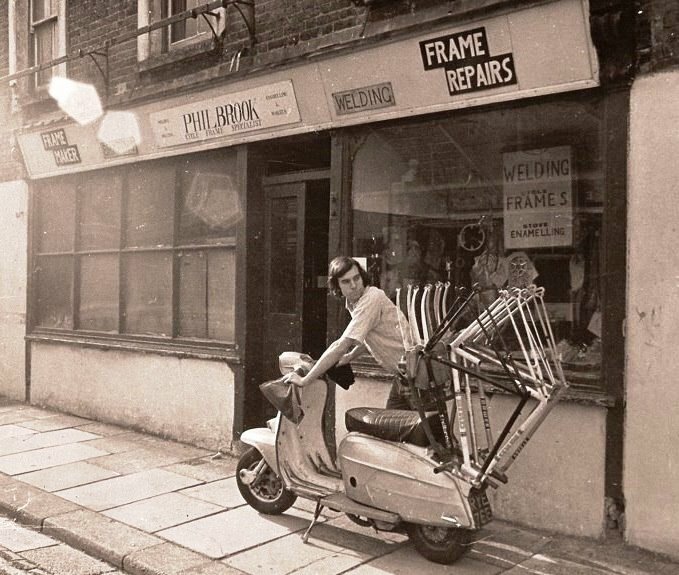 I came across these photos on a Lambretta owners’ forum. Many thanks to whoever posted them. What a trip down memory lane. Does anybody know who the young guy is? Could it be Jeff Lyon I wonder.